2005 to present, Barcelos (PT). Formed in 2005, the band derives directly and unaltered from The Astonishing Urbana Fall. Their first album, Palisade (Bor-land, 2006), rests in the formal freedom they have always believed in. Instrumental, experimental, jazzy and charismatic. In 2009 they composed an original soundtrack for Georges Méliès’s Le voyage dans la lune, presented at the Short Films Festival of Vila do Conde. Still in 2009, the band releases Outdoor (featuring the saxophone ensemble Quad Quartet), in a numbered edition limited to 500 copies. They continue on an ironical and experimental course between jazz and delicate pop constructions. In 2012 the connection of the band with the label PAD begins. 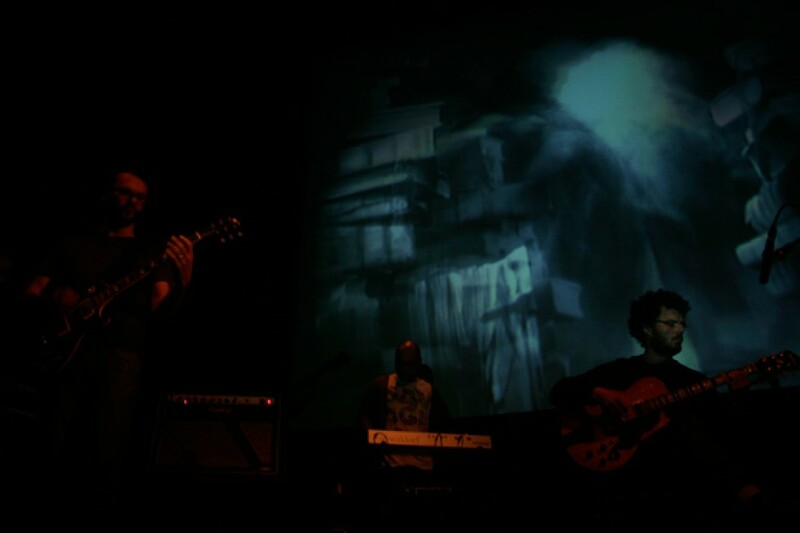 Faust was released in April, featuring Luís Fernandes (the astroboy). This album is directly inspired in the narrative of the character of Murnau’s classic. In the summer of 2013 they team up with stoner rock trio Black Bombaim, first on stage for the Milhões de Festa summer festival in Barcelos (PT) and then in the woods around Meifumado Studios where they turned their collaboration into a limited edition vinyl.